Dr. Barkoff’s unique philosophy of thyroid balance combines elements of traditional Endocrinology with a whole-body integrative approach. She doesn’t just treat the disease, but also focuses on why the patient is affected by the disease. I am passionate about helping my patients not only manage their thyroid disease but also improve their quality of life. As a board-certified Endocrinologist and autoimmune thyroid patient myself, I understand it’s important to consider both evidence-based medicine and factors like reproductive goals, the immune system, and nutrition to optimize thyroid health. I recognize how challenging it can be to find an expert where you live. If you are outside the Chicago area but looking for answers, I am happy to conduct a phone consultation. I can review your history and recommend next steps. I want to help you on your journey back to health. Hope and healing are possible. 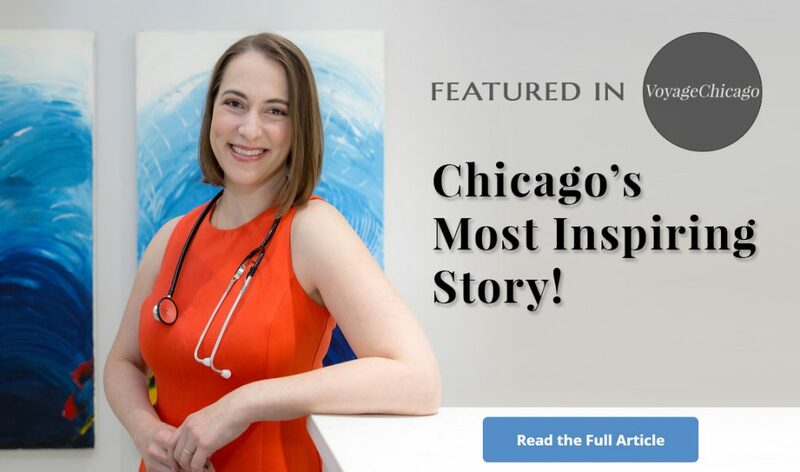 Dr. Barkoff is a board-certified Endocrinologist, trained at the University of Chicago, who specializes in all aspects of thyroid health. 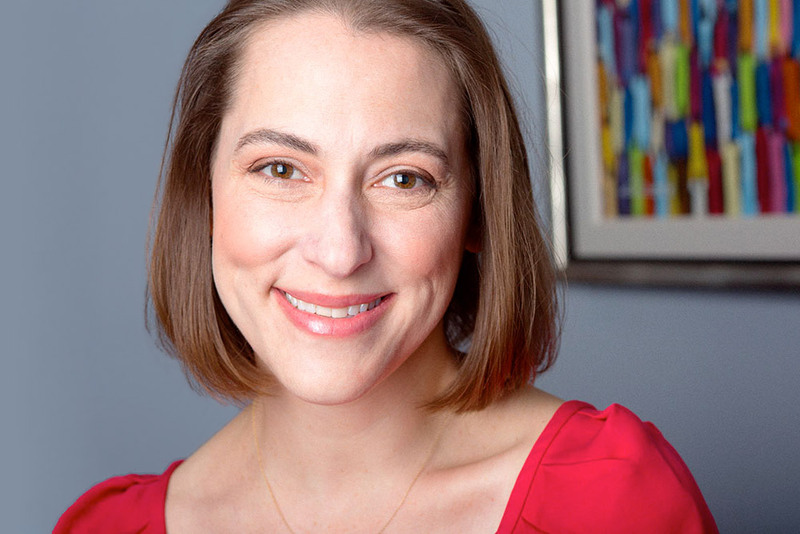 With over 10 years of experience caring for people with thyroid disease, she believes that achieving thyroid balance requires an individualized and comprehensive approach. When treating hyperthyroidism and hypothyroidism, it’s important to know if the cause is autoimmune. For Dr. Barkoff, this broadens the treatment approach and may involve reducing other inflammation alongside targeted thyroid treatment. She educates all of her patients on their options and creates a comprehensive plan to both treat the disease and improve quality of life. Dr. Barkoff believes it’s key to understand a woman’s reproductive plans when designing the best course of treatment. She encourages patients with thyroid disease to see her prior to pregnancy for preconception counseling as thyroid balance impacts pregnancy outcomes. She works side-by-side with the patient and her OB during the pregnancy to regulate the thyroid. The incidence of thyroid cancer is on the rise, especially in women. Dr. Barkoff has over a decade of experience identifying and treating thyroid cancer. She performs her own ultrasound or minimally invasive biopsy in her office if needed. She educates all of her patients on various treatment approaches should they receive a diagnosis of a suspicious nodule or cancer. Dr. Barkoff began to see a pattern in patients who continued to feel unwell even after thyroid treatment. Mast cells, an important part of the body's immune defense, can become overactive or overproduced, causing generalized symptoms of hives, nasal congestion, abdominal pain, and anxiety, but also unique symptoms that Dr. Barkoff has identified amongst her patient base. Dr. Marla Barkoff is accessible on all levels: humanely, competently, timely, and compassionately. At first I thought she was too good to be true-exceedingly bright, genuinely compassionate, and we actually were laughing a lot together. She took the time to answer all my questions and explain to me specifics around tests, diagnoses, and treatments. She never missed making me laugh, feel calm, and cared for. My family and I are grateful for Dr. Barkoff and will never forget her life-saving and restoring measures. I had been misdiagnosed, mismanaged, and I was settling into hopelessness with my Mast Cell Disease for 10 years. I spoke to her on the phone prior to my first appointment and she was wonderfully kind, enthusiastic and eager to help me. Dr. Barkoff is the most sincere Doctor I have ever met. Of note: I’m a Registered Nurse so I have worked with hundreds of doctors, but none like her. She is extraordinarily intelligent, extremely thorough, passionate about her work and devoted to her patients. Now, only a few months after beginning treatment, I am me again. To be her patient is to be very lucky indeed! Do you experience hives or psoriasis? Do you have abdominal cramps or urgent diarrhea after eating? Do you wake up with swollen eyelids, swollen lips, or a swollen ring line on your finger? Do you wake feeling exhausted in the morning? Do you get lightheaded when rising from a squat or seated position, where you have to hold onto the wall to steady yourself? Do you see large, matching red circles where your crossed legs were touching? Have you experienced a recent decline in memory or concentration, especially word-finding difficulty? Do you have irritable rage or worsening anxiety? You answered YES to two or more of the symptoms, Dr. Barkoff may be able to help you. According to your answers, you don't seem to have thyroid disease. However, if you want to talk to Dr. Barkoff about your problems, you are welcome to schedule an appointment.